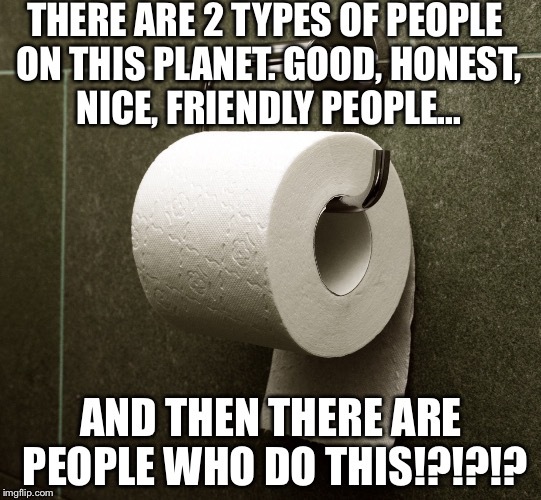 Actually, this one depends on whether you have cats and, more particularly, whether cats get into any given bathroom often. Over is generally easier for the user. 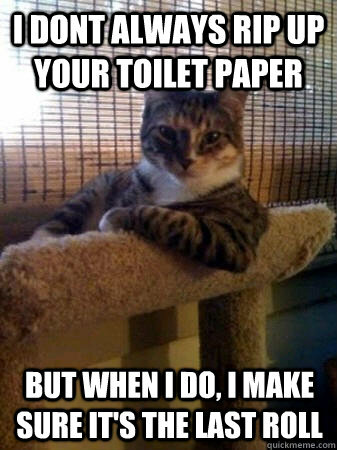 However, sometimes cats will play with the toilet paper roll, and as their paws move rapidly downward on the outside of the roll, if you install Over you end up with most of the roll on the floor but if you do Under it all stays on the roll. And you thought you were asking an obvious question. BTW, there is also a corollary meme for that too! Not me on the piano , but great background nonetheless. Great video, great piano playing, and I really appreciate that they left the cat audio in the recording with the piano. I suppose, since there are only two possibilities (excluding Steel Breeze’s solution) the world should be divided equally into overs and under. So, I always hung it whichever way in order to offend everyone at some point. After 40 years of marriage my wife pointed out that, if I had really been paying attention (you know you are in trouble when your mate starts a sentence that way) i would have known that she was an over. Over it is.